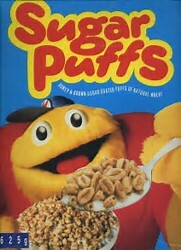 If you're a Sugar Puffs cereal lover then be prepared to buy just Puffs in future. Sugar levels in the popular cereal are being cut by 25% as part of the move to address concerns about sugar and obesity. 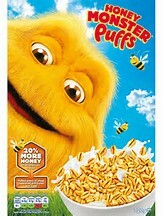 The word 'sugar' has been removed from the front of the packaging with the cereal now called Honey Monster Puffs. Sugar Puffs were launched back in 1957, when I was six and I loved them, and my six year old nephew loves them to this day. The brand has enjoyed a successful promotional campaign fronted by the Honey Monster, so it is probably right that the cereal should take the name. As health concerns have risen, sugar levels have been cut and the manufacturers have changed the name with new slogan ''Wheat puffs with a dash of honey''. While honey has a positive image because it is natural, it is no healthier in terms of calories and weight gain than refined sugar.